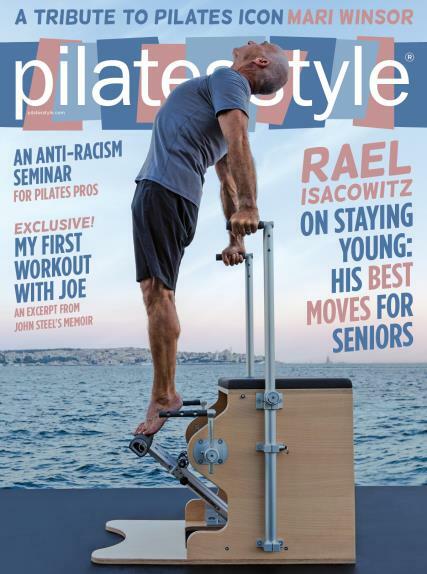 Pilates Style magazine Pilates Style is proudly the only magazine to feature Pilate style of exercising and Pilate’s life style. The magazine features every aspect of Pilates to educate and energize Pilate enthusiasts. Pilates Style is proudly the only magazine to feature Pilate style of exercising and Pilate’s life style. The magazine features every aspect of Pilates to educate and energize Pilate enthusiasts. Pilate is a type of exercise to provide core strength and flexibility along with flat abs and well shaped physique. The bimonthly Pilate Style magazine has clear instructions of easy to difficult exercises and targeted workout sessions for optimum results in a short time. The included articles will take you in depth of the origin and evolution of Pilate exercising and would also have knowledge based learning of new techniques and developments in the field of Pilate. The magazine has also got tips and advices form the masters to do the exercises correctly and adequately. Apart from being a popular life style and way of exercising, the magazine also explores the therapeutic aspect of Pilates. Experts put their opinions and suggestions to perform Pilate exercises to cure many ail through effective and focused exercising. Also featuring in the magazine are reviews of new equipments, accessories and clothing to provide a comfortable and hassle free exercising session. The Pilates Style magazine brings best of information and news coverage in an interesting way along with calendar of various seminars, events, training schedules and challenges. Whether you are a beginner or an advanced exerciser, the Pilates Style magazine have enough to inspire and educate you. The guided tutorials and demonstrations of various exercises are supported with lucid pictures and clear instructions. The Pilates Style magazine also features diet suggestions and tempting recipes for a healthy Pilate’s lifestyle management. The stories from real achievers makes the magazine to be much authenticated and reliable source of information and education on the most effective and innovative way of Pilate exercising for general health and wellness as well as weight loss and keeping in shape. Subscribe to Pilates Style magazine to get every issue to be posted to you to keep you informed and inspired. This was a gift for my daughter who says she has found it to be motivating. I love this magazine and really does keep me up to date with what's going on in the Pilates world!